It was been a very busy couple of months. Since my last post I have submitted three articles (two have been accepted so far, with edits), given one talk at Avalon Expo, researched and managed the construction of a new exhibit at the Logy Bay-Middle Cove-Outer Cove Museum, did quite a few tours around St. John’s with Wildland Tours, and interviewed for a new job. So, big news, have a new job and will be moving to New Brunswick. I will, of course, still be researching Newfoundland and Labrador’s aviation history, but will also expand my research to the Atlantic provinces. It also means that posts may be even spottier for a while because of the move and the new job. In the meantime, I gave a talk at the Conception Bay Museum for part of their #Canada150 celebrations, and gave the same talk again at Avalon Expo. 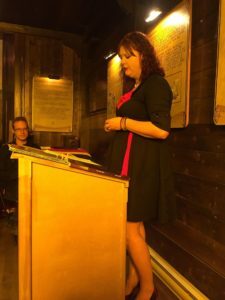 As sort of a cheat because I haven’t posted anything in a while, here is an edited version of that talk with pictures from the Conception Bay Museum facebook and airport log. The poster for my part of Harbour Grace’s #Canada150 events. 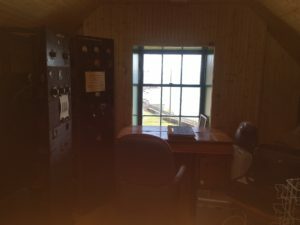 During the spring, I spent a couple of weeks in Carbonear, and visited the museum in Harbour Grace to look at some of their aviation documents. I had a beautiful day of exploring the Airport Log for the Harbour Grace Airfield. It is certainly an area of Newfoundland’s history I would like to explore more. The research space in the Conception Bay Museum. Back to the Airport Log. Going through the book, everything is neatly written, with small descriptions about the flights. Then we get to The Columbia on October 9th, 1930, and Lieutenant Harry Connor filled out the logbook. It’s fun and personal, and it gives a lot of personality instead of the formalities in the other entries. So today I decided to further research The Columbia in Harbour Grace. Giving my talk at the Conception Bay Museum. Newfoundland first saw The Columbia two weeks after Charles Lindbergh made his solo flight from New York to Paris. On June 4th, 1927, piloted by Charles Levine and Clarence Chamberlain, Columbia N.X. 237, passed over the south coast of Newfoundland. The Columbia leaving Harbour Grace on June 20, 1928. From the collection of the Conception Bay Museum. Columbia next came to Newfoundland as part of the race for the first woman to cross the Atlantic. 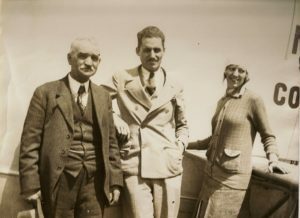 It is well-known that it was Amelia Earhart on the Friendship with pilot Wilmer Stulz and mechanic Louis Gordon who left Trepassey in 1928 to successfully cross the Atlantic. But while Earhart, Stulz and Gordon where sticking close to their aircraft, waiting for the weather to break so they could attempt to cross, the newly renamed Miss Columbia was in Harbour Grace waiting to fly another female across the ocean, Mable Boll, “the Queen of Diamonds”. Mabel Boll with the Columbia in Harbour Grace in June 1928. From the collection of the Conception Bay Museum. Boll made her start as a cigar girl in Rochester, and married businessman Robert Scott in 1909. The American socialite earned the nickname “Queen of Diamonds” because she would often wear hundreds of thousands of dollars’ worth of jewelry in public. Once she was photographed wearing a sweater made of gold and platinum. She was also known for her marriages. After Robert Scott, she married Colombian coffee king Hernando Rocha, who presented her with a 46.57 carat emerald-cut diamond bearing her name. She married Count Henri de Proceri, and finally, married a harp player from Florida named Theodore Cella. Throughout these marriages she also had a number of boyfriends, including pilot Charles Levine. In 1927, after Lindberg made his flight, Boll wanted the publicity of being the first woman to cross the Atlantic and offered 100,000 francs to any pilot who would fly her back from Paris. 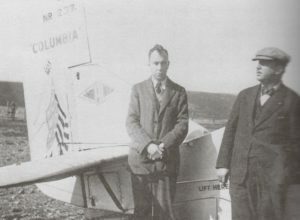 When Levine brought the Columbia to Europe, Boll tried to get Levine to fly her to America. 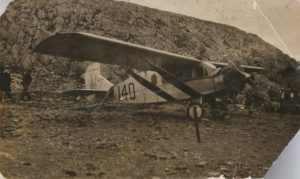 Levine was planning to fly back with a French pilot, Maurice Droughin. Levine and Droughin had a disagreement, which resulted in Columbia being grounded and lawyers having it guarded. Levine got access to the aircraft, and claiming that he was just going to test the engines, he took off and flew to England. Chamberlain, the pilot who flew to Europe with Levine, believed Levine actually bribed the guards. Boll followed Levine to England, and convinced Levine to take her as a passenger. His new pilot, Captain Walter Hinchliffe, publicly refused to fly if Boll was a passenger. 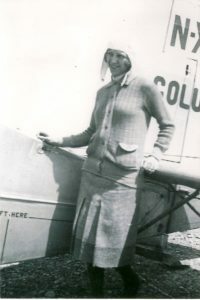 Boll instead was invited to try an east-west flight from America, so she set out for America in January 1928. LeBoutillier (centre) and Boll (right) with the Columbia in Harbour Grace, June 1928. From the collection of the Conception Bay Museum. Levine agreed to lend Boll Columbia for the trans-Atlantic flight. Boll, in turn, assumed Shultz would be the pilot, but he decided to fly Earhart in Friendship. About this, Boll said, “Now he has taken off with this other woman, and I was sure he would fly with me. I depended on him”. 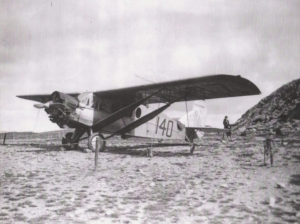 To solve her problem, Boll hired pilot Oliver LeBoutillier and mechanic Arthur Argles. Boll was delayed in New York and Earhart made it to Newfoundland first. Fog and high winds in Trepassey kept the Friendship grounded, but Earhart, Shultz, and Gordon stayed close to their aircraft, and even bought and borrowed clothes from local residents rather than going into St. John’s for supplies. 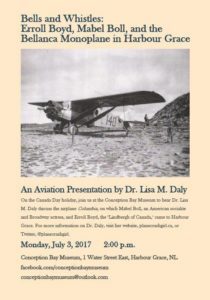 At 8:03pm on Tuesday, June 12, 1928, the Columbia landed in Harbour Grace. Grounded by the same fog and high winds, Boll travelled to St. John’s to be toured and celebrated by dignitaries, as well as celebrated at a reception thrown by the Knights of Columbus for the entire crew. LeBoutillier had aspirations to be the oldest pilot, and was considered to be overly cautious. He was relying on information from Dr. Kimball in New York, whereas Stultz in Harbour Grace relied on weather reports from the American ice patrol. Stultz left Trepassey with Earhart as a passenger on June 17th and successfully made it to Burry Port, Wales. Boll was heartbroken to hear the news, and her and her crew spent the night waiting for a report from the Friendship. 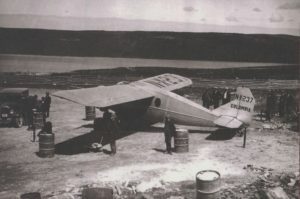 The Columbia at the Harbour Grace Airfield, June 1928. From the collection of the Conception Bay Museum. On June 19th, after a cable from Levine, who may have been the backer of the flight, Boll announced that they would return to America. LeBoutillier and Argles wanted to fly to Rome, continuing with the attempt to cross the Atlantic, but accepted the wishes of their backer. Boll, as she paid her hotel bill, donated $500 to the operators of the Harbour Grace Airstrip to help maintain the world-class runway. 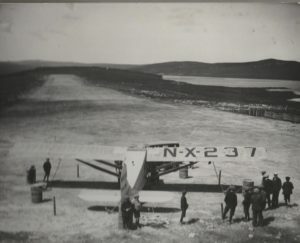 The Columbia looking down the Harbour Grace runway, June 1928. From the collection of the Conception Bay Museum. Soon after, Mabel Boll and Charles Levine were seen in a Chicago casino. Levine punched a newspaper editor who had written an unfavourable article about him. The New York Times said of the incident “When the dust cleared, Miss Boll, sparkling with diamonds as usual, took Levine’s arm and lead him away”. Boll soon gave up on her goal to be the “Queen of Flight” and lost interest in flying. 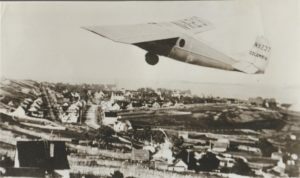 Levine continued to spend money on experimental aircraft. The Columbia went on her own adventures, including placing first in a race from New York to California when piloted by Commander John Iseman and Lieutenant J. Farnum. 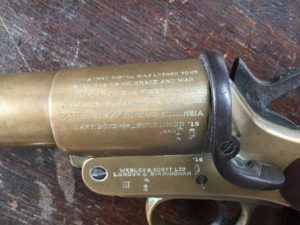 In 1930, piloted by Captain Erroll Boyd of the Royal Air Force, Lieutenant Harry Connor of the U.S. Naval Reserve, and Roger Williams, the Columbia made the first non-stop flight from New York to Bermuda and back. The flight was made to drop off mail, but when no suitable landing field was found, they turned back. The flight took 17 hours and 3 minutes. Luckily, Williams took the aircraft to Toronto just days before her usual hangar was destroyed by fire. While in Toronto, Columbia, or rather Miss Columbia, was renamed Maple Leaf, after the song “The Maple Leaf Forever” (which was written to celebrate Canada’s confederation, just to bring us back to Canada 150), before being demonstrated at the 1930 Canadian National Exhibition. The Columbia (as the Maple Leaf), at the Harbour Grace Airfield, October 1930. From the collection of the Conception Bay Museum. With the plan to cross the Atlantic, Boyd asked Connor to be his navigator. As financial difficulty seemed to follow the Columbia, Boyd had trouble finding financial backers for his flight. When he couldn’t find anyone in Toronto, he decided to try Montreal, but when he landed in St. Hubert Airport on September 1st, 1930, he and Connor were greeted by the RCMP, who impounded the aircraft. Now, there’s a slight discrepancy in the records at this point, because the museum here has a response to Boyd dated August 30th. The note, sent over the wire, has Captain Boyd’s address as the Mount Royal Hotel in Montreal, a day before other reports say he landed in Montreal. The note itself is notifying Boyd of the length of the runway and assuring him that Imperial Oil can deliver fuel to the runway with only a few hours’ notice. 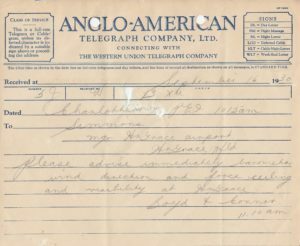 Telegram sent by Boyd. From the collection of the Conception Bay Museum. During his stay in Montreal, Boyd managed to find financial backers, and after two weeks the aircraft were released. During this time, Boyd and Connor were staying in a hotel, but didn’t have any money to pay for it. Rather than try to find another benefactor, or wait for their current one to pay, the two men snuck out of their hotel and took the Columbia with the goal to fly to Harbour Grace. A brewery did eventually pay their hotel bill. In the airfield log book, Connor describes their delay as being “due to unfavourable weather and other causes”. Boyd and Connor didn’t make it to Harbour Grace right away, instead, strong headwinds and bad weather forced them to land in a field at Tea Hill, about 5 miles outside Charlottetown, Prince Edward Island. After leaving Montreal, they passed over the mountains of southern Quebec and the state of Maine, cut across New Brunswick, and circled over Charlottetown as it was the first major city they had seen since leaving Montreal. They were as far as Cape Breton when the weather forced them to turn around. Boyd and Connor landed on Monday, September 15th, and hoped to fly out as soon as possible, but were advised from both Toronto and Halifax that they should not fly until the weather conditions are more favourable. Unusual weather patterns kept them grounded in PEI and they didn’t make it to Harbour Grace until September 23rd. Trans-Atlantic attempts were not generally done so late in the year, and so ideal conditions for flying were infrequent. 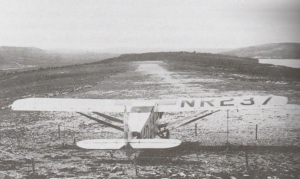 The Columbia on the Harbour Grace runway, October 1930. From the collection of the Conception Bay Museum. After experiencing many delays due to unfavorable weather and other causes, we finally took off in our good old “battlewagon” “Miss Columbia” from Montreal P.Q. at 8:30am Saturday 13 September 1930. The sky was overcast with a light rain falling and a moderate N.E. wind blowing. We set a direct course from St. Hubert Airport which took us over the While Mountains in Maine. At time of departure we had a 2000ft ceiling, both by the time we were over the mountains and hills (which ranged from 1000ft to 4000ft height) the ceiling was 1000ft to 1500ft accompanied by strong head winds and rain. Visibility was poor, but due to the skillful piloting of Capt. Boyd we managed to “sneak” through the mountains. Personally I much prefer flying over oceans to mountains in such weather! We saw into clear weather over P.E.I. but the head winds still prevailed. We arrived over C. Breton at 4:15pm and decided that it would be better to land near Charlottetown PEI than risk a night landing at Hr. Grace. We returned and landed on PEI 3 miles from Charlottetown where we remained weather bound for ten days. We enjoyed a pleasant stay there, even tho’ it was enforced; and were the guests of Col. J. Jenkins D.S.O. We were loathe to leave the beautiful girls of PEI behind but will return there upon the completion of this flight. Weather conditions were favorable between PEI and Hr. Grace Nfld. on Sept 23rd, so we took off and had an uneventful trip here. We flew direct compass courses and made the passage in 4 hrs. 25 min averaging 111 mph. We are now awaiting favorable weather over the N. Atlantic for our flight to Croydon Airport, London England and are being well taken care of here. Everyone is cooperating with us, and we sincerely hope that it will not be long before Hr. Grace will be a terminal for regular trans-Atlantic Air service, and that the men who have worked so unselfishly for an airport here will reap their reward. We consider the runway here in good shape for a take-off with a heavy load and in an advantageous location. Erroll and I had ample opportunity to check our ship and teamwork together on our recent New York to Bermuda and return non-stop flight June 29 1930 in the “Columbia” We are well equipped for our flight. Our motor, the original Wright J.S. 220 H.P which Chamberlin and Levine flew to Germany with and our instruments are perfect. This flight is being undertaken by ourselves and is the result of years of work and scientific experimenting. We hope to prove the accuracy of our methods, similarly as on our Bermuda flight. We believe in safety first, and if the flight is not a success it will be our own fault! The “Columbia” is our baby!!! Boyd and Connor with The Columbia in Harbour Grace. From the collection of the Conception Bay Museum. I haven’t yet found what shenanigans the two got up to while in Harbour Grace, but I hope when I get to look through more newspaper records I might find some more activities. They were grounded in Harbour Grace until October 9th, but they did take a short trip over St. John’s on September 28th. They dropped a message addressed to J.M. Barbour of the Anglo-American Telegram Company. It was in a cigarette can which was picked up and delivered. The message read: “Saying hello to everybody in St. John’s. Sorry we can’t land. Bet there are some beautiful girls there! Many thanks for your cooperation on this flight. Boyd and Connor.” So it seems that they were very focused on beautiful women. The Columbia in Harbour Grace, October 1930. From the collection of the Conception Bay Museum. With the dawn they could pick up their position. They also then discovered that while they had enough fuel, one of the feed pipes were clogged, meaning they wouldn’t be able to access enough fuel. They landed at Tresco, on the Isles of Scilly, the most Westernly point of England, about 300 miles from Croyden. When Levine greeted them and asked how the flight was, Boyd responded: “Tough, but we are here. That is the main thing, isn’t it Harry.” (referring to Harry Connor). 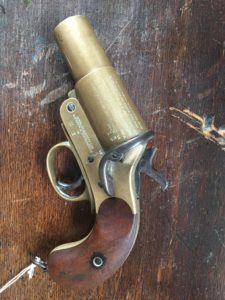 Oke’s gun on display at the collection of the Conception Bay Museum. This trip marked the second trans-Atlantic flight for the Columbia, now the Maple Leaf, even if no one called her that in the reports, and the first trans-Atlantic flight for a Canadian. With all of his aviation firsts, Erroll Boyd certainly earned the title of “the Lindbergh of Canada”. 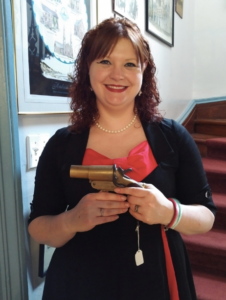 Getting to hold Oke’s gun after my talk. 1930 Boyd and Connor Succeed in Trans Atlantic Flight. The Charlettown Guardian, 11 October 1930, p1. 1983 The Challenge of the Atlantic: A Photo-Illustrated History of Early Aviation in Harbour Grace, Nfld. Robinson-Blackmore Book Publishers: Newfoundland. 1930 Noted Airmen Believe in Safety First: Transatlantic Fliers Land Here on Way to NFLD. The Charlettown Guardian, 20 September 1930. 2008 The Big Hop: The North Atlantic Air Race. Boulder Publications: Newfoundland.